Stevie Kisner read 45 books of her goal of 45! To ask Stevie Kisner questions, please sign up. Stevie Kisner All those voices in my head? People don't think I'm crazy anymore when I listen to them. 'Waking Up in Vegas' is OUT THERE! My sincerest apologies for not posting this sooner... Tack's book went live on Friday morning, and since then, it's been quite the white-knuckle ride to keep up with the whole thing. "6 "First Love is Forever" stars!!!! We’d love your help. 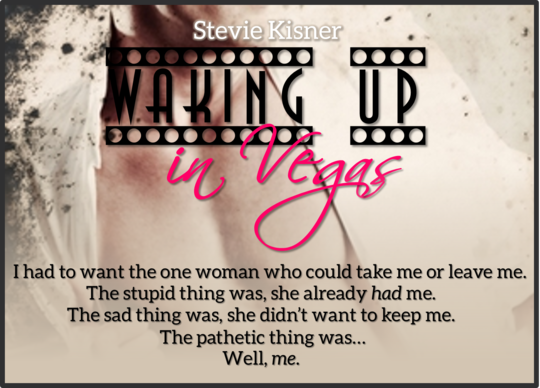 Let us know what’s wrong with this preview of Waking Up in Vegas by Stevie Kisner. Stevie Kisner voted for The King (Black Dagger Brotherhood, #12) as Best Romance in the Opening Round of the 2014 Goodreads Choice Awards. We’d love your help. 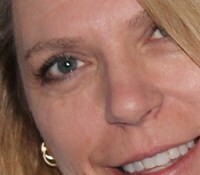 Let us know what’s wrong with this preview of Hell on Heels by Robyn Peterman. I wish to you all a merry Christmas and a fabulous day, doing whatever it is you enjoy. Cari wrote: "Happy birthday, Stevie! Hope it's a great one! :)"
Hi, Kim! Thanks for asking. I'm normally not this rude and I'd've said 'hi' already, but I have relatives in from out of town and it's been hectic! Thank you for reading... I hope you like it! Thanks for the add! Reading your book now and it is great!!! !